With nearly 2 billion websites floating around on the World Wide Web today, it’s more important than ever for your site to stand out from the competition. The best websites are built on the best SEO tools. That’s what drives your site traffic, increases your credibility, and establishes your authority in the field. But, if SEO makes your head spin, we’re here to break everything down to you. And, fortunately, we live in a time where there are numerous SEO tools available to you at ZERO cost. When it comes to mastering SEO, you need to know how to interpret the right data. The MozBar helps you do precisely that. Available as a simple Chrome or Firefox extension, this useful application helps generate an instant report on any website you’re visiting. This is one of the best SEO tools for instant scanning on Google. For example, let’s say you want to search “best cosmetologist” in Atlanta. You click the words into Google and BAM! You’ll be able to see the Page Authority (PA) and Domain Authority (DA) of each listed website. Furthermore, you’ll be able to see the number of linking roots and subdomains. And, all of this comes at the grand price of ZERO dollars. Not only will you have the insider’s access to your own website, but you can check out your competition’s as well. You can also upgrade to MozPro, which provides you exclusive access to everything your website needs to be optimized. The best SEO tools are the ones that are as user-friendly as they are informative, and SEO workers do just that. The premise is simple. You just plug in any website URL (yours or anyone else’s), and the website instantly generates a useful, detailed report about your SEO status. One of our favorite perks? The keywords cluster in how you’re ranking in your single, double, triple, and quadruple word keywords. You can see just how well each of these is performing. If you want a website with a smooth and user-friendly interface, this is one of the best SEO tools out there to provide just that. You just type your website (or a competitor’s site) into the “Website URL to review” bar. Within a few moments, you’ll receive a detailed report showing you where you’re excelling, where you’re making errors, and where you need to improve. You’ll get an instant marketing checklist that tells you the “impact importance” and how easy the problem is to solve. Woorank audits your traffic, backlinks score, referring domains, and social media engagement. You’ll see exactly where your website stands in the face of the competition. It’s one of the most popular WordPress plugins, and for a good reason. Yoast SEO offers invaluable support for all bloggers looking to boost their SEO. Hands-down, it’s one of the best SEO tools that allows you to “edit your writing” in real-time, meaning you can optimize automatically. For one, Yoast solves technical issues that your website could suffer from. You’ll be able to set titles, meta descriptions, and keywords instantly. Furthermore, there’s a strong focus on creating dynamic content. That means delivering readable blog posts that both your audience and Google actually want to see. Yoast is very user-friendly, and they utilize the red light, yellow light, green light to indicate whether your work is A-ok or needs improvement. Yoast also offers premium versions if you’re interested in ramping up your SEO to the next level! A leading winner of several software awards throughout the world, SEMRush works with some seriously big players (Amazon and Ebay, anyone?). First of all, you’ll get a direct overview of your domain analytics. This includes everything from your organic search results to your main organic competitors to all your different follow vs. no follow links. You’ll be able to track your organic position changes (and compare them to your competitions). Finally, you’ll be able to check out your projects, gap analysis, keyword analytics (there’s a keyword magic tool! ), and so much more. If you’re seeking one of the best SEO tools that provide a comprehensive overview of your site, SemRush is your jam. Don’t let the name dissuade you. Screaming Frog provides one of the best SEO tools out there on the market. The Screaming Frog SEO spider provides website “crawling.” You can crawl different website URLs to maximize your SEO. 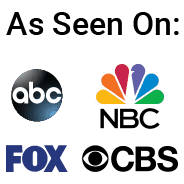 On their website, you can get a free download or purchase a license with advanced features. The main difference between the free and premium versions? With the free version, you’ll have a 500 URL craw limit. With the premium one, you’ll have unlimited. Sometimes, the best SEO tools are the ones that do a single job. And, they do that single job perfectly well. Broken Link Checker just allows you to locate any broken links on your WordPress site. You’ll be able to then edit and fix those links without having to edit your posts. It’s a useful plugin, completely free, and allows you to overview your content instantaneously. To date, there are over half a million installations. That’s 500,000 people who no longer have to comb through every link on their site. Who has time for that?! Before going too far into W3 Total Cache, please note that our consultants and experts at Marketing by Kevin strongly recommend hosting your WordPress website with WPEngine. If you are currently using WPEngine, please note that W3 Total Cache and most cache plugins are not allowed on their platform. They do not allow outside plugins for security purposes and have their own which work great. 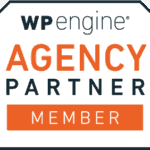 To learn how to use WPEngine, please click here. If you are not using WPEngine and need to improve your website performance, W3 Total Cache is one of the best SEO tools available. Nothing is more annoying than a slow-loading website. In fact, you risk losing many valuable customers who don’t want to waste their time. This is a quick way to provide a quick means of increasing your page speed–which will ultimately improve your search rank! Are you in the market for a powerful SEO toolbox for your browser? As it turns out, SEOQuake is one of the best SEO tools available today. All you need to do is install the extension and add it to your toolbar. It’s currently available in Chrome, Safari, Opera, and Safari for iPhone/iPad. From there, you’ll be able to check out any webpage. You’ll be able to explore internal and external links, compare domains and URLs, and conduct on-page SEO audits. It’s high-speed and has over 3 million active downloads. That many happy users just can’t be wrong. They’re advertised as the planet’s largest link index database. This is one of the best SEO tools for determining how all websites on the Internet link together. For SEO professionals, you can manage your portfolio and accurately audit websites. For entrepreneurs, you can detail your SEO trends and measure success. If you go to the site and search your website, you’ll receive instant access to your link quality and link volume. You’ll also get information on all backlinks, referring domains, and historical, external backlinks (going back five years). With the paid version, you’ll have access to your topical trust flow. This shows you how close you are to the most trusted “expert” websites. Majestic has a variety of other amazing tools including Majestic Million and their own plugins. Buzzsumo is a well-known leader in providing the best SEO tools. When you type in your website, you’ll have instant access to a variety of engagements. You can filter by date, content type, and different publishers. Mainly, you’ll have a birds-eye view of how your content is being shared. This includes the major social media hubs like Facebook, Twitter, Pinterest, and Reddit. You’ll also be able to see what’s currently trending in the news (in a variety of industries). One more incredibly cool feature? Buzzsumo has a ‘Question Analyzer’ feature. With this, you can search their extensive database. It features millions of real questions asked on the influential forum and e-commerce sites like Amazon, Reddit, and Quora. Instant research and instant content ideas–in just one click. If we’re talking about the best SEO tools, we have to shout out to Google. After all, Google is what determines the SEO algorithms–they control who does and who doesn’t get to their front page! Fortunately, Google makes it easy for you to generate unique keyword ideas. It’s free and available to anyone. With that said, the primary purpose is to merely show advertisers the keywords that they can bid on for different campaigns. This helps advertisers select the right keywords for their websites. It’s one of the best SEO tools for making sure that you’re spending your money how and where you should spend it! It may be a simple name, but it packs a punch, and it’s one of the best SEO tools for WordPress. We’ll be honest–you’re getting what you pay for! If you like other well-known plugins, no problem! This one works well with other features like Squirrley or Woocommerce. SEO Friendly Images (automatically puts appropriate ALT tags on all images). It’s currently only available as a premium version plugin. With that said, the license will cost you less than $50. It’s money well spent for time definitely saved. Want to get in one of the best SEO tools for email outreach software? Get your hands on Outreach Plus. First of all, you can sign up for a no-frills, no-commitment trial. You’ll be able to accomplish this by sending personalized emails that are fine-tuned for each client. You can set it as automated (less work for you) and integrate automated follow-ups. Furthermore, their smart technology helps match incoming emails to correct campaigns. You won’t miss any important information–and you can respond even more quickly. Regarding efficiency, this is one of the best SEO tools available. Streamline your email marketing today! Even though SEO represents a never-ending learning curve, the right tools can take your website to the next level. When you have the right equipment in your toolbox, you’re more prepared to dominate Google! With that, you’ll increase your traffic, boost your reputation, and drive sales to your company. Here’s to a happy, healthy website! Click for Managed SEO Services or to contact us!